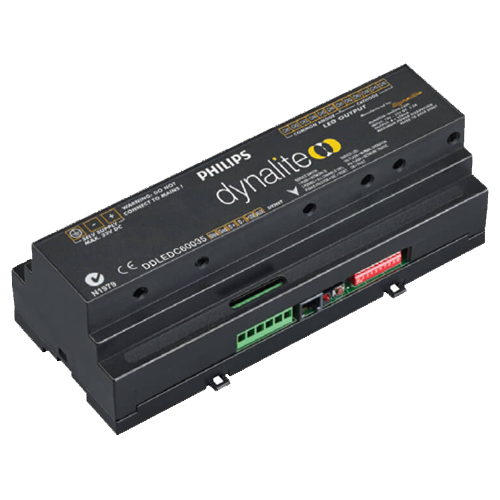 The DDLEDC60035 is an advanced PWM Constant Current LED Controller. 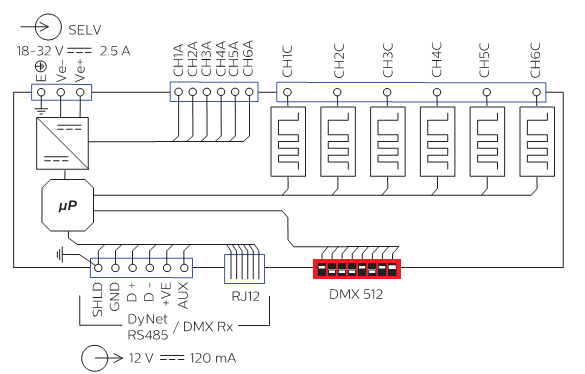 The DDLEDC60035 is designed to control LED loads in decorative architectural lighting applications where creative color mixing and sequencing is required. The controller provides six pulse width modulated common anode current mode outputs suitable for directly driving 350mA nominal current rated high intensity LED sources. 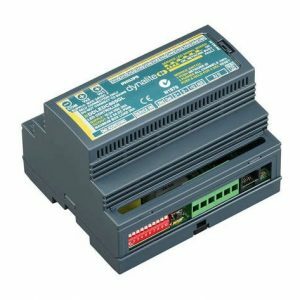 • Internal current regulation — The controller is designed to directly operate series connected LED arrays without the need for any additional circuit devices. • DMX512 compatible — Capable of receiving native DMX512, allowing use in color mixing or chase sequence applications, such as those found in display lighting. • Diagnostic functionality — Device Online/ Offline status reporting. • Flexible mounting solution — A DIN-rail mountable device, designed to be installed into a distribution board or other electical enclosure. (Ch 1&2, Ch 3&4, Ch 5&6). 4 Watts per individual channel.